From start to finish Chris is amazing. He is very detailed and has a spreadsheet you fill out for your music. He responds quickly to emails and was always courteous. He is very Professional and did a FANTASTIC job at my daughters wedding. We hit the jackpot with our DJ! Chris did a fabulous job with my daughter's wedding. From the initial consultation through to the end of the reception, Chris was so helpful and the easiest person to work with. We gave him some songs and playlists we liked and Chris took that to come up with the perfect playlist for the wedding/reception. He was great about letting guests request songs and asked before playing anything we might find questionable. Chris followed the schedule and kept the reception flowing as planned. He was in and out of his booth, constantly checking in with me to make sure all was going well. He provided the mic for the ceremony (much better than the venue's mic) so that we could hear the minister's voice as well as the bride & groom's. He also used his own mic during the reception and we could understand EVERY word that was said (a huge contrast from many other receptions I've attended). I would work with Chris again any time! We even joked about coordinating weddings together. Thank you DJ English Chris!! Chris was amazing! He was by far the easiest vendor to deal with out of our entire wedding. 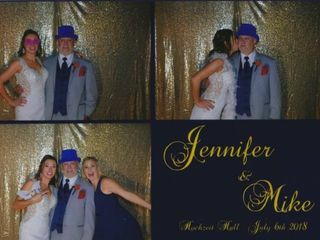 The music was great and the photo booth package is one of the best deals out there. 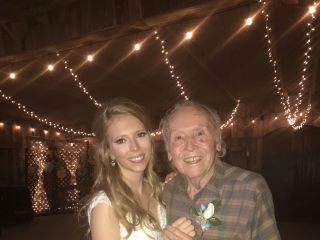 He even worked with me so that I could perform a song I wrote for my bride with my Dad. Thanks again Chris! DJ English Chris was by far one of my favorite vendors to work with! Super professional, responded to my millions of questions quickly and best of all ensured our guests had a blast!! Thanks Chris!! Chris was amazing! Not only does his accent make everyone want to listen. He had great energy throughout the entire night! He played all the music my dad requested and incorporated the music that I wanted! 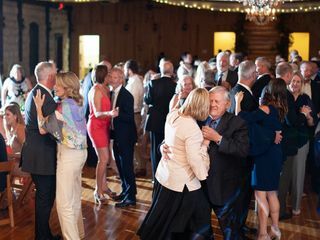 Everyone was on the dance floor from the time we arrived until it was time for our last dance! He kept everyone wanting to dance and up to date on what was going on during the reception! so many people complimented on how much fun they had! We also used him for our photo booth and his wife ran the photo booth. IT was such a hit! We got so many compliments on how much fun it was! They had so many props for everyone to choose from! At the end they sent us a cd with all of the photos from the booth! I highly recommend them for the DJ & photo booth services! DJ English Chris was amazing! Super organized with everything leading up to our big day and also kept an eye out for any last minute adjustments throughout the ceremony. Everyone loved his awesome accent as well! Would highly recommend him for your wedding ceremony! DJ English Chris is absolutely amazing. He went above and beyond to make our wedding as stress-free as possible. Please look no more.... This is the guy you want to get the crowd up and dancing! He was phenomenal. Met our expectations and some. He was very professional and cordial. Just a delight to be around and was spot on with our requests. I couldn’t be happier with Chris! His team did the absolute most to make sure everything was perfect for me and my husband! If I could give him 10 stars I would. He was quick to respond to all my questions at all times in the day. He made sure he knew exactly what I wanted and turned that into reality. He was not only my DJ but also like a wedding coordinator for us. He not only did his job but went above and beyond to make sure everything was perfect. He had everyone on the dance floor from the beginning to the end of the night! I can’t say enough great things about him and his partner. One of the best decisions I made by choosing him for our big day! Great DJ and Great Party! 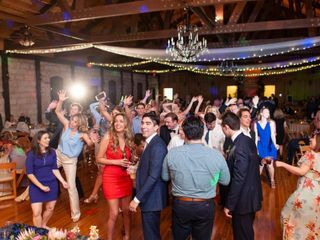 DJ English Chris was perfect for our wedding! He made sure we were having fun and checked in to see if there was anything he could do to make the night better! He kept the party going and had the guests dancing all night long! English Chris kept my night together! He was truly the life of the party and never let the party stop. He was always available for phone calls or random questions that needed to be answered and made sure I was happy with the whole process. Throughout the night he continued to check with my husband and I to make sure we were enjoying everything and if their were any requests, he played them. You were truly the star of the night and I can’t say enough amazing things. Chris is absolutely amazing! I have worked with him many times in the wedding industry, but the best time together was him dj-ing my wedding. He plays the perfect mixture of songs and really knows how to keep the party going! Chris is super easy to work with and creates friendships with his clients. We love Chris and plan to tell anyone and everyone about how amazing he is!!! DJ English Chris was absolutely amazing. He kept the party going, did exactly what we wanted, went above and beyond expectations. He made my wedding day perfect. I couldn't have asked for a better DJ! DJ English Chris was a true professional! I cannot thank him enough for the amazing job he did on our wedding day. The music was exactly as requested and he was very accommodating with last minute changes that were made the day of. Other than normal DJ services, we also had uplighting, gobo, and a photobooth through him. Overall amazing service and you can't beat that accent! DJ English Chris not only played fabulous music selections that kept everyone from 2-82 dancing, he is also an amazing event coordinator!!! He kept the flow of the evening smooth and kept our guest entertained! We had issues early on with our coordinator and Chris helped us find a new one and went above and beyond to help make our daughters day perfect. We also used his photo booth and that was a huge hit. DJ Chris is very reasonable and by far one of our best vendors. We highly recommend him. DJ English Chris is the BEST! With Chris, you will get more than just an AMAZING DJ!! He made sure the wedding was running smoothly and on schedule. He knew everything about the timeline and went above and beyond! He knew how to engage the crowd and get them on their feet - 100% recommend! Dj english chris is amazing! If you’re looking for a fun, entertaining and just down right amazing person to DJ at your wedding or other events then look no further! Chris was absolutely amazing to work with for our wedding. He did everything we asked for, needed and even more! 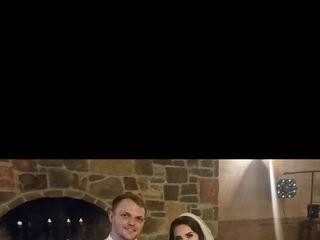 Our wedding went amazingly and I had so many people tell me how awesome our DJ was. 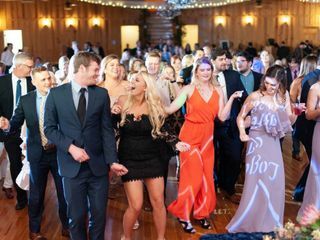 From the beginning of our wedding planning all the way to the grand exit of our wedding day DJ English Chris was there every step of the way helping us out and making sure our day was nothing short of perfect! I promise you he is the best of the best! 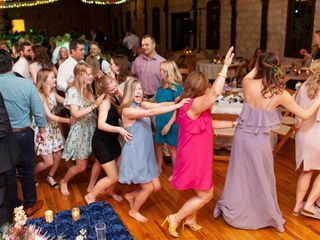 Our wedding was so much fun thanks to DJ English Chris! Very easy to work with and persobalable! DJ English Chris was absolutely amazing from the beginning! He was so personable and professional. He listened to our wants and was able to make recommendations accordingly. The event went so smoothly, everything felt like it moved at a nice pace. He was even respectful of our "do not play" list and any other requests. I really didn't have to worry about anything! 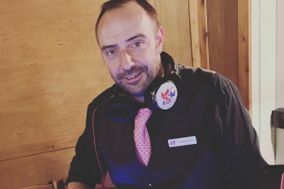 I would like to say that DJ English Chris didn't just provide brilliant service, he provided a truly stellar experience! Couldn't be more thankful! DJ English Chris was an incredible DJ. I could not have asked or hoped for a more prompt, thorough, and creative DJ for our wedding. Seriously, he was excellent. You won't go wrong booking him!! !